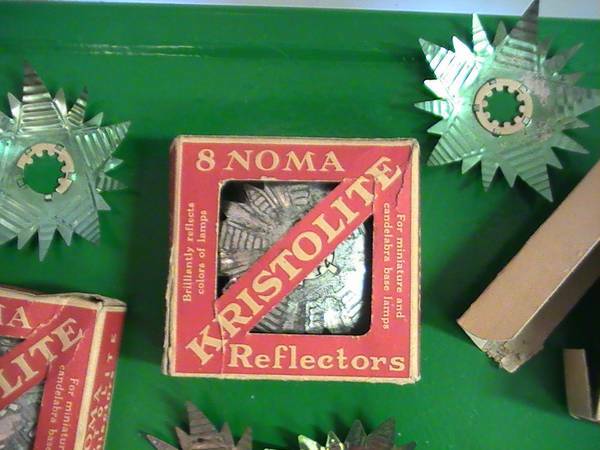 I have three boxes of antique reflectors for Christmas lights. 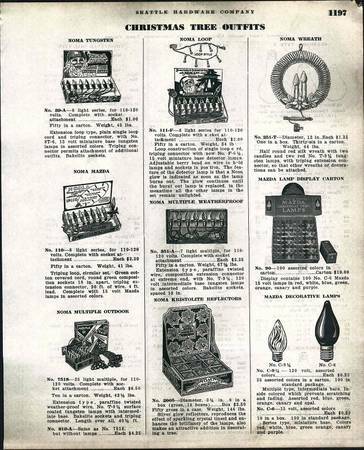 They sold in the 1934 catelog ad for $3.50 per box. 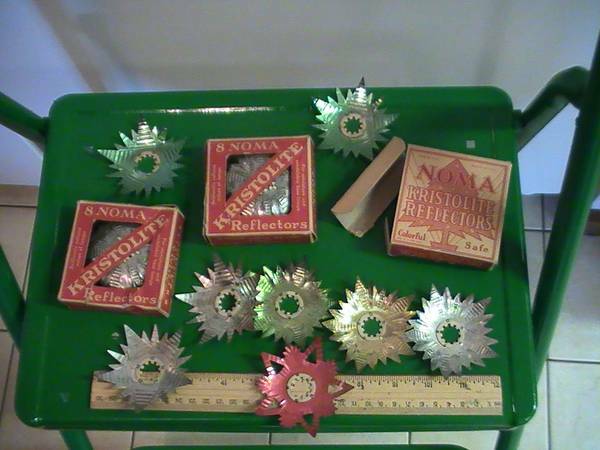 These come in original boxes of 8, various colors. Selling for $15.00 per box, or all three boxes for $40 total. Call or email if you are interested (no texts). I check the computer 2 or 3 times each day, or you can call the house phone between 7am and 8pm.